K-Ration is a sportswear brand start-up with a novel concept: they package t-shirts and accessories in a variety of canisters and vacuum-packs generally used for military MRE's (Meals Ready to Eat). 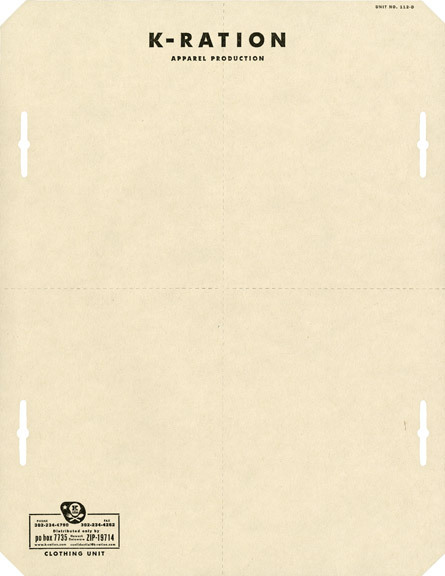 K-Ration was the term used for a full-day's meal given to WW2 paratroopers, which became the inspiration for the packaging and identity system. 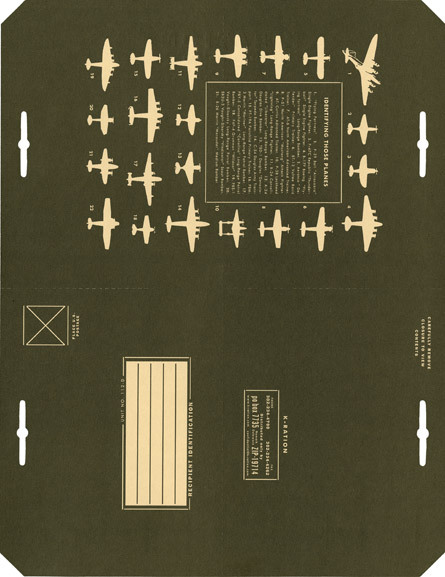 A one-color, newsprint letterhead and business card were developed that included an aircraft identification chart, perforations, and binder slots, giving the system a playful government-issued feel.